In September, Helios, a six-year-old pit bull, became paralyzed after running head-first into a fence while chasing a squirrel. He wound up injuring his neck and was unable to walk. His owner, Jennifer, was absolutely devastated, and said his future looked bleak. She was told that he should be euthanized, but she refused to give up on him and wanted to give him a second chance. After the accent, Helios was in diapers, on a cat and unable to move at all. His recovery has been a tough one, and he still has a long way to go, but his positive spirit and wagging tail have always been a constant. 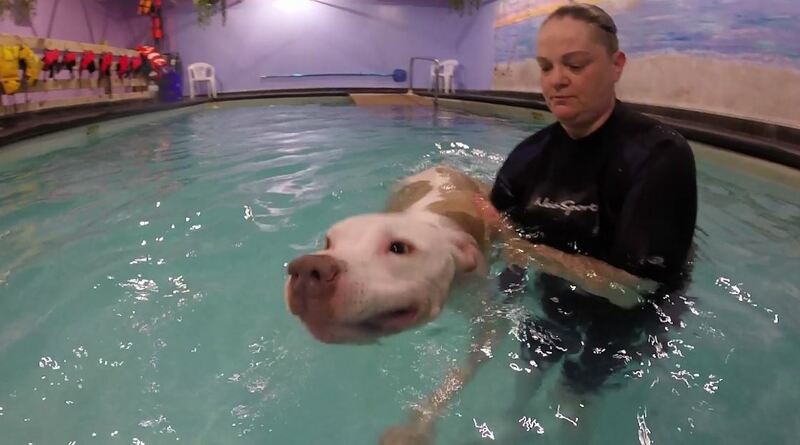 Helios began receiving steroid medicine and went through weeks of swimming therapy. His swim coach says that his progress over the past three months has been remarkable. 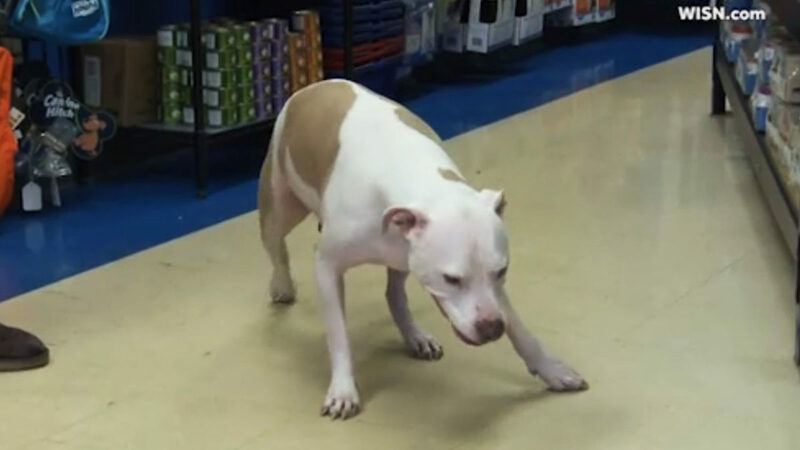 Now, Helios is learning to walk again and has successfully used all four paws to get around. 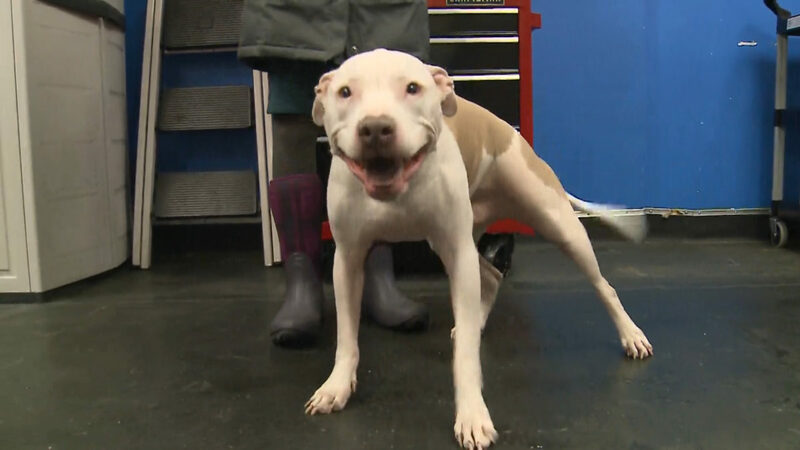 His vets, owner, and swim coach were hopeless at one point, and unsure he’d ever walk again, but Helios continues to defy the odds and prove everyone wrong. Although he is still wobbly, he has certainly come a long way. Sometimes, all it takes is a little bit of hard-work and a whole lot of faith! Helios will continue his physical therapy, and hopefully he will be back chasing squirrels in no time!